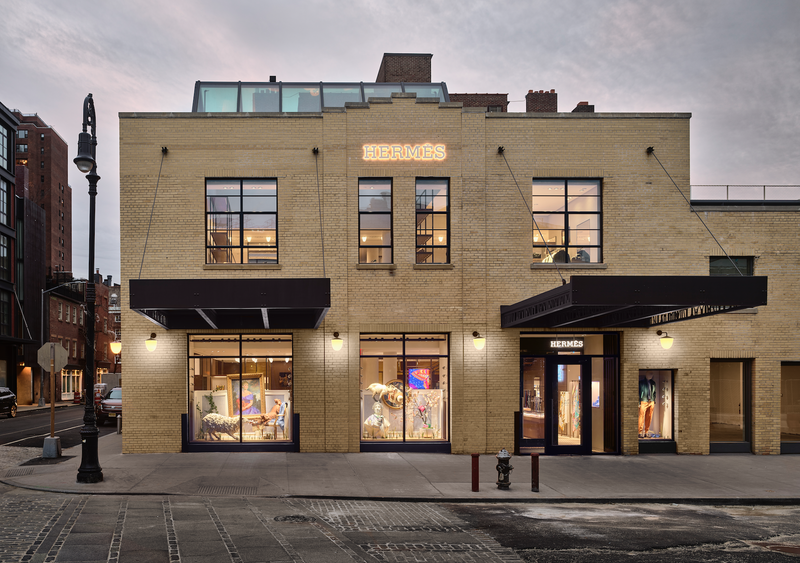 Hermes has “crossed” the line with the unveiling of its 36th U.S. address, this one in the heart of the New York City's Meatpacking District. 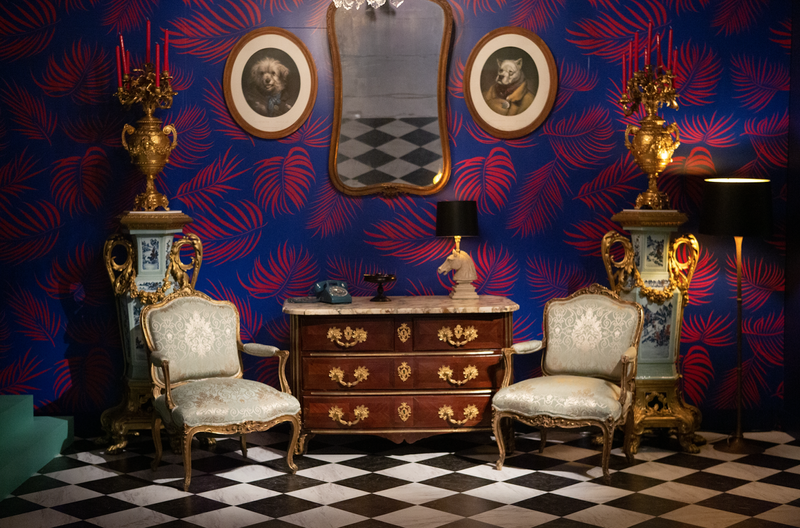 Located a cobblestone’s throw away from the Whitney Museum and the Highline Park, the new store marries the unique legacy of the French fashion house with a downtown New York vibe—think ascot meets sneaker—creating a shared embrace of craftsmanship, creativity and innovation. The 5,330-square-foot boutique echoes the neighborhood’s industrial heritage with its restored ironwork and yellow brick facade. From the street, downtown shoppers are immediately greeted with intriguing window displays showcasing installations by sculptor Ruby Wescoat. 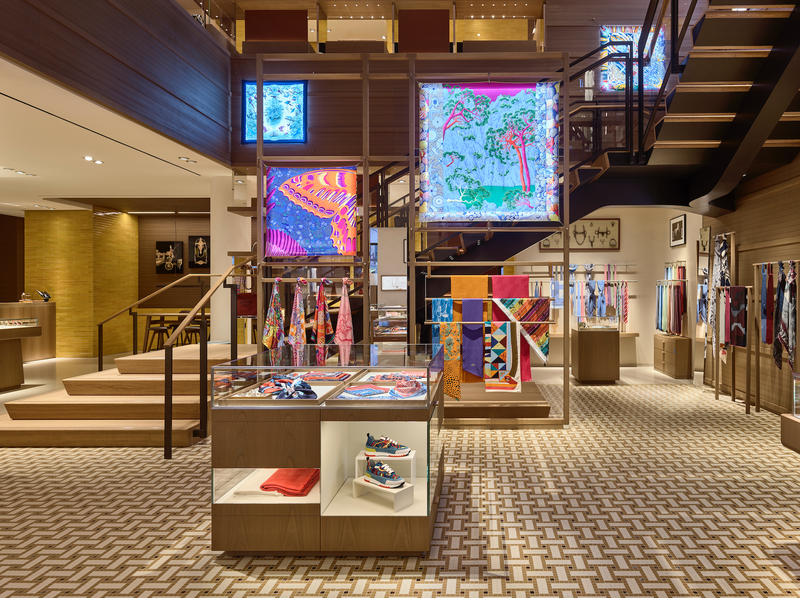 Upon entering, a grandiose skylight shines light on the full range of collections for men, women, and the art of living. Quintessential ex-libris tile mosaic in earthy toffee browns from the original Hermès store at 24 rue du Faubourg Saint-Honoré in Paris serve as the transportive backdrop whilst a sweeping staircase snakes its way upstairs to the silks, ties, leather goods, fashion accessories and scented delicacies waiting for you on the second floor.